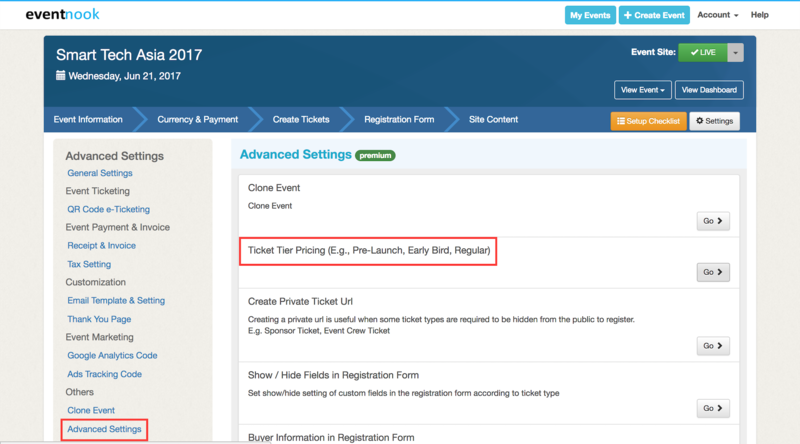 EventNook allows you to set ticket tier pricing (ex: early bird rate) so that you can offer guests a special discount for special circumstances, such as for those who are willing to register for your event early. Find your event in your "My Events" page and click on "Edit Event". At your event page, click on "Settings" on the top-right corner. Select the "Advanced Settings" option on the bottom-left corner of your page. 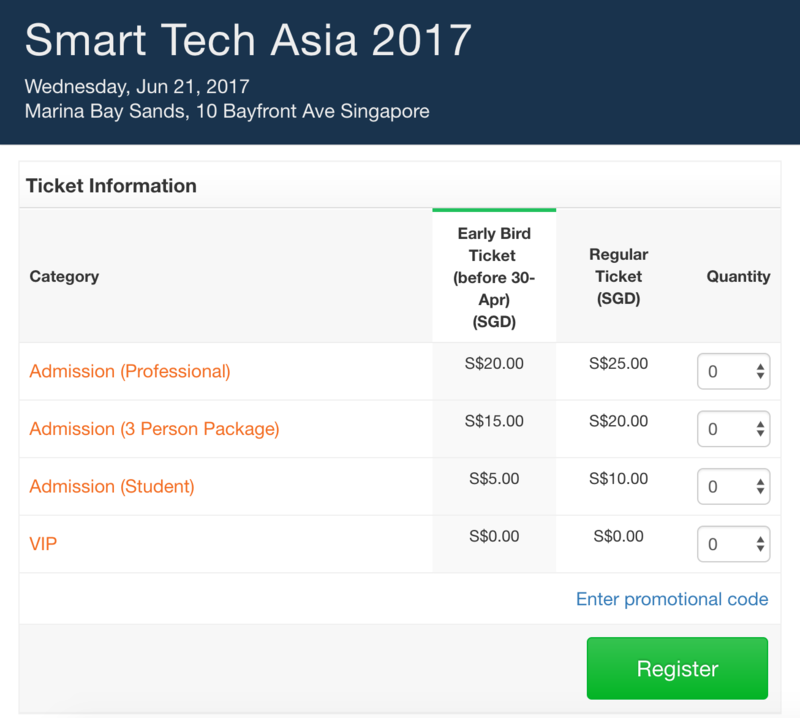 Find “Ticket Tier Pricing (E.g., Pre-Launch, Early Bird, Regular)” and press the “Go” button. 1. Choose from 4 different ticket pricing tier options depending on your needs. 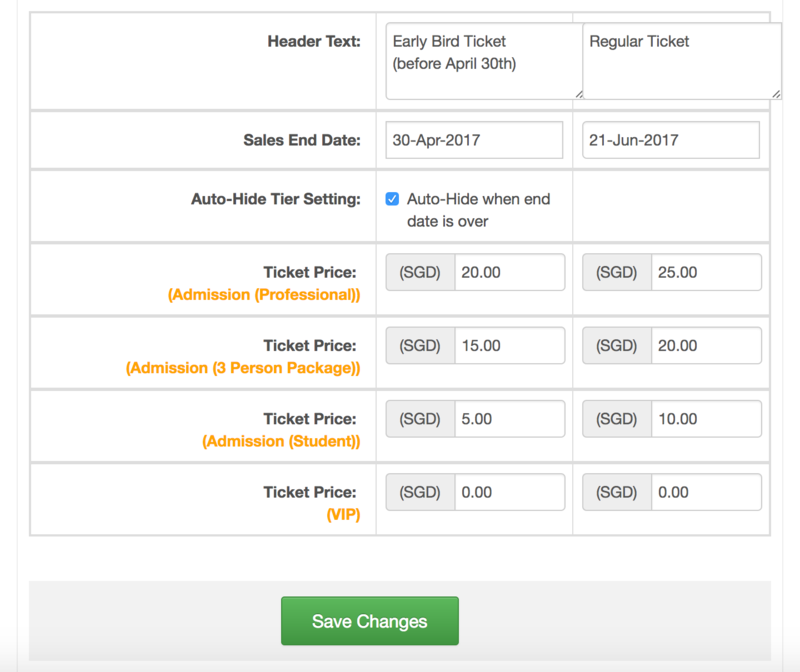 Select "Save Changes" to save your custom ticketing pricing tier.